I’m very happy that Vol’jin gets more story in Battle for Azeroth even if he is dead. I’m potentially a minority in this, but while I generally play way more Alliance than Horde nowadays, I always felt like Vol’jin’s fate was the least satisfying of the big three deaths that opened Legion. I was most satisfied with Varian’s death — I didn’t want him to die, but I felt like the way he went out was in keeping with his character. It was heroic, dramatic, defiant and cool to watch him utterly wreck a Fel Reaver that was threatening to destroy an airship and kill his people. It was a satisfying death. Tirion Fordring I felt got kind of a middle of the road death — he was there, and then he was dead. But Tirion was old, and hadn’t really been up to much since Wrath of the Lich King, so while I felt like his death was kind of unimpressive, it didn’t feel like a waste the way Vol’jin’s did. Tirion had lived and fought and asked the Light for one last blessing and gotten it, but Vol’jin barely had time to be Warchief at all before he was dead. So him getting to be a hero after his death is fine by me — becoming a Loa seems fitting for him. But this all gets me thinking. 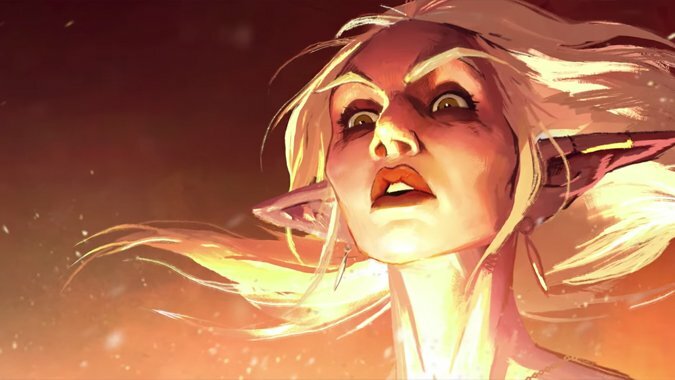 We’re looking at a Jaina raid fight we know she doesn’t die in, an Azshara raid fight we don’t know that about, and something is going to happen with Sylvanas as Warchief, whether it’s a raid fight or something else. I’d be astonished if Sylvanas was still Warchief by the end of this expansion. And there’s really no way the Alliance could possibly allow her to just return to Undercity and the Forsaken like nothing happened — the destruction of Teldrassil and the changes it’s wrought in the Night Elves have been too devastating for that. So what’s her fate going to be? What does it have to be, to be satisfying for us? Can it be satisfying for both Horde and Alliance players, for those of us who are her fans and those of us who are not? I worry that after years of waiting for Azshara, we’re finally going to get to see her in game and then she’s going to be dead. I’m the guy who likes to remind people that Lady Vashj was one of the immortal Naga, and I hope to see her back again despite her death in Serpentshrine Cavern because immortal means you don’t die. So maybe Azshara can’t die either, and so we’ll get to keep her around committing villainy. I know that her dying in the middle-tier raid of the expansion would be a big error in my opinion. But what do you think? Should Azshara die in the patch 8.2 raid? Should Sylvanas die by the end of Battle for Azeroth? Or are there even better outcomes that would be just as satisfying, if not more so, for you? What do you want to see happen?